Matt Young, Head Coach of Genesis Running. I’ve raced on roads and trails in events from 5ks to 100k, century bike rides and triathlons but I don’t win races. 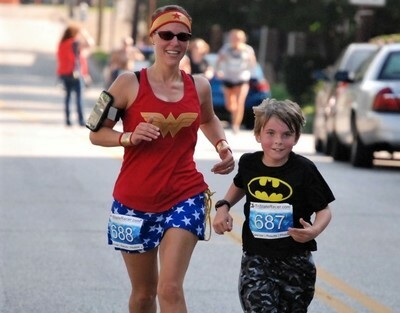 I’m not a superstar runner but I’ve learned some things along the way that have helped me improve over the past 17 years and I love to share those lessons with others. I’m a Road Runner Club of America certified coach and have been certified to teach natural running, running the way the body is made to do it. The Genesis 5k training program started in 2007 after I watched my dad, who at the age of 64, went from barely running ¼ mile to running a 4 mile race in just 9 weeks. So I thought, if it works for him it can work for anyone. Over the past three years over 1100 people have learned to run through Genesis Running here in West Virginia. Running is the easiest, most affordable, most portable and most efficient exercise you can do but so many people don’t know where to start and that’s why I’m here to help. 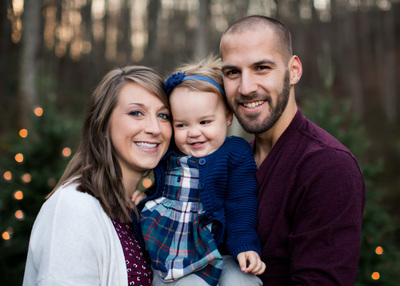 Jason Francis, Assistant Head Coach, Teays Valley- My personal running journey started later in life in 2010 at 35 years old. After training on my own for 2 years with various setbacks and injuries I joined Genesis Running and was coached by Matt Young. 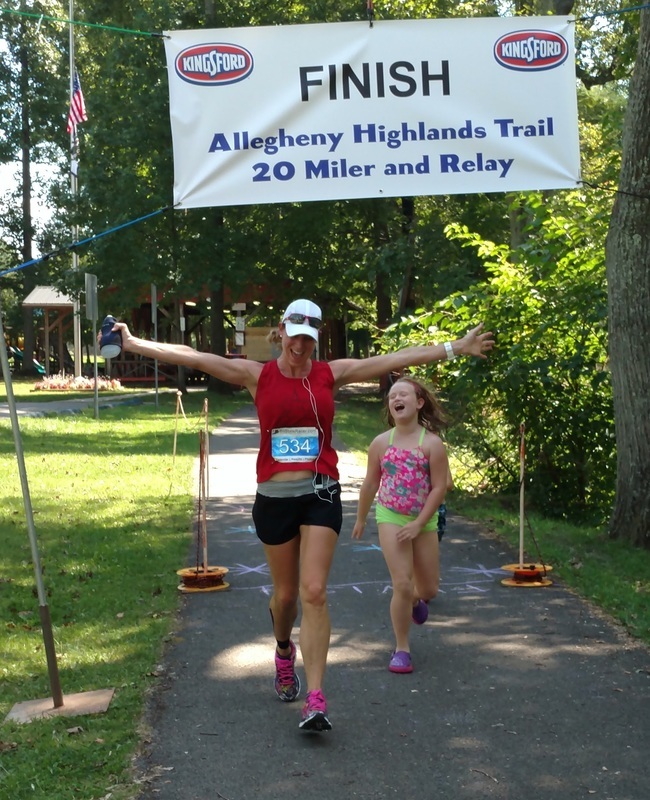 After realizing personal running and race successes and more importantly running injury free and actually enjoying it, I decided to pursue coaching as a way to enhance our running community and learn more about the sport. I was mentored by and assisted Coach Matt for a year as his assistant coach and then became a certified run coach through RRCA, I am also a NASM certified personal trainer. As a coach I stress efficient natural running form and the importance of aerobic development, when you take care of these, speed is a natural byproduct. Its counter intuitive to believe that to get faster you need to run slower, but it works. I also believe in the value of strength training and proper recovery to remain injury free. I believe that aside from shoes a heart rate monitor is a runner’s best training tool. David Kephart, Princeton- My wife and I moved to Africa a couple years back and life became...different. In order to rest, relax, and reflect during those days, I started running. That was five years ago and I'm still running. I've ran races on roads and trails for distances from 5k to 50 miles. I don't run to win. I run to keep my mind, body, and spirit healthy and active. I would love to help you either start, or continue, a healthy lifestyle that includes the discipline of running. I'm thankful to Jesus - and Matt - for this opportunity to serve people in our community by encouraging individuals from all walks of life to lace up your kicks and get your mind, body, and spirit healthy and active. Josh Sowards, Huntington- I've always thought running was fun! Growing up ... I was a wiry guy who was pretty fast. And I couldn't sit still! I even liked getting from one end of the house to the other as fast as I could for fun. (I still do that when I'm home alone :) I've been blessed with two girls between 3 and 5 and a beautiful wife. We both work full-time. We're worship leaders in our church, the girls are in school, we grow some of our food, cook most of our meals at home; laundry, dishes, etc. ... Where's the room for running? Well, two years ago, me and my wife were diagnosed with auto-immune diseases. We were food and activity conscious already; now we are acutely aware of what we eat and our level of activity. We have to move! Running balances my blood sugar. It eases her aches and increases our energy and awareness. Running let's us spend time with our girls (whether we are pushing the stroller or playing tag). Running is accessible! It's good for all of us! I want to help people see running as play more than exercise. It's one of the most natural ways to play, spend time with your loved ones, clear your mind, and care for the temple Christ lives within. It's the easiest way to have a healthier body and spirit for your whole family! 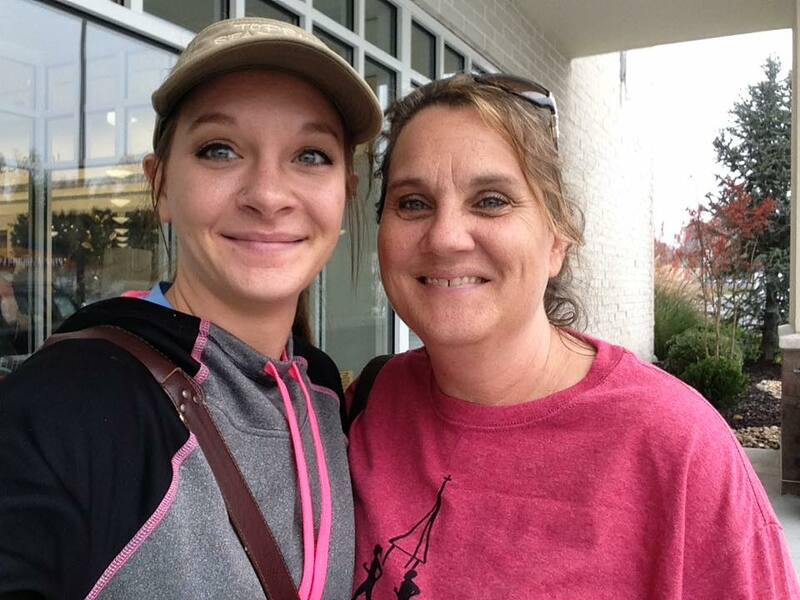 Jessica Hodge, Barboursville- Well first things first, I am passionate about loving Jesus! He is the only reason that I have or can do anything! I am the wife to a super smart guy named Tony and together God blessed us with 2 amazing boys, Haden and Lenon. Those 3 fellas are my greatest joy! I began running in 2012. I wanted to become a healthy role model for my new little guys. On my first run—not even 1/4 mile—I really thought I was going to die but then after living through it, I was bitten. I felt so proud of what I had just accomplished. After running for several years I participated in Jay Francis' Genesis running class and found so many helpful tips to improve my running. 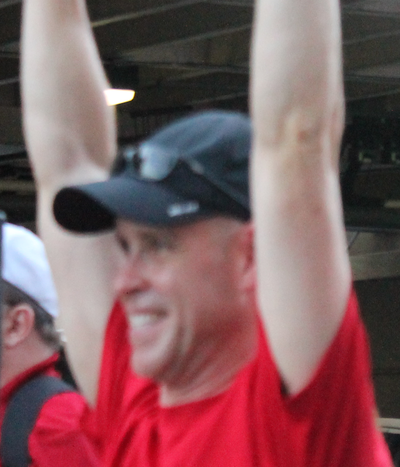 I then took the Genesis Half Marathon class with the hopes of meeting a personal goal. With great coaching and applying the information I learned, I met that goal!! Woohoo!! There isn't anything better than lacing up the shoes, plugging in praise music, and going for a long run with Jesus! I love being a part of the amazing Genesis running family and watching people along their journey! I am also a NCCPT certified personal trainer and I am so excited to help people live the best life that God has planned for them! See you at the finish line! Phil. 4:13. Tracey Suppa-Todd, Charleston- At first, I hated running. Too embarrassing! Too bouncy! Too uncomfortable! My husband, meanwhile, was running ultramarathons and dropping pounds like crazy. So after I had babies, I figured there was no harm in parking them near the treadmill and running in private to try to lose some weight. One day I saw an ad for the Disney Princess Half Marathon and knew that was to be my run debut! I trained (mostly on the treadmill) for over a year. During July of that year, I decided it was crazy to have the half marathon be my first race ever and signed up to run the Firecracker 5k. That's where I met the force that is Genesis. They were there in all their glory and I was wowed by their camaraderie and support. 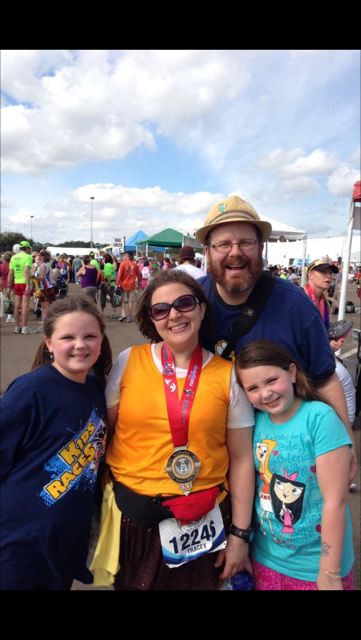 I went on to do my half marathon (best.day.ever!) and joined Genesis shortly thereafter. Since then, with the support of Team Genesis, I've done a full marathon (!! ), the CDR several times, and countless other halves and other races. I decided to commit to the sport by becoming a certified coach in 2015. Now our whole family (including the best furry running partner ever) runs races together. We even plan vacations to run races. I've been only slightly disappointed to discover that continued distance running doesn't always drop pounds like crazy. :) However, I've never been healthier and happier to exercise- and to be part of this amazing team! 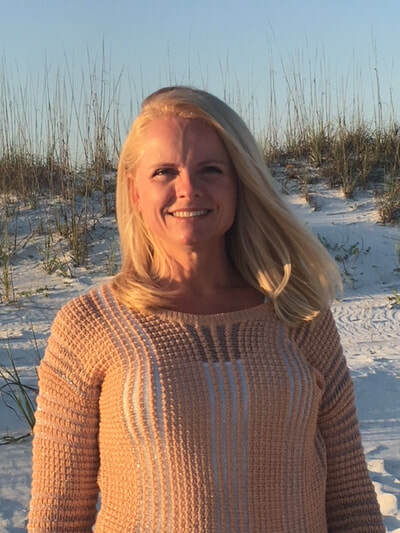 Verena Mullins, Charleston- I was always the ambitious and brainy kid who made good grades, enjoyed teaching, and barely passed P.E. A bout of double pneumonia in elementary school left me with permanent scarring to my lungs which led to exercise-induced asthma. While I enjoyed various physical activities, my respiratory issues limited my cardiovascular capacity and endurance. As I grew older, my desire to push my boundaries and overcome my limitations grew stronger. In 2003, I left everything behind and moved from Europe to West Virginia. I got married, learned a new language, started over my career, lost some extra weight, and had two wonderful children. Quiet and alone time became rare. I needed a way to reflect and relax and make time for exercise. Running seemed like an obvious choice and there was no reason I couldn’t give it a try. In 2011, through a Couch to 5K program, I realized that I could run despite previous limitations, many of which were in my head. My running journey continued on my own until I signed up my older son for the Genesis program. On his 7th birthday, we both joined the Genesis Spring group and, 9 weeks later, he successfully ran his first 5K becoming one of the youngest graduates of the Genesis program. Seeing him succeed alongside many other participants, one in his 70’s, sparked a renewed passion for teaching and wellness in me. Coach Matt asked me to join Genesis as an assistant coach in the Fall of 2016. Helping individuals to live healthy lifestyles, overcome personal challenges, and accomplish things they never thought possible is one of the most rewarding things I’ve ever done. I believe in natural running, balanced training, and the importance of mind over matter. In the Spring of 2017, I became an RRCA Certified Running Coach and hope to obtain further life/personal coaching certifications in the future. 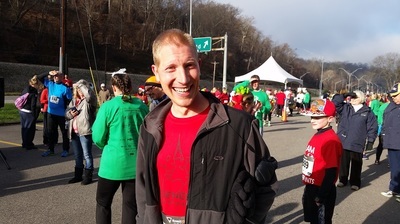 ​Jim Moore, Lewisburg- Jim Moore is an engineer, family man and running enthusiast. 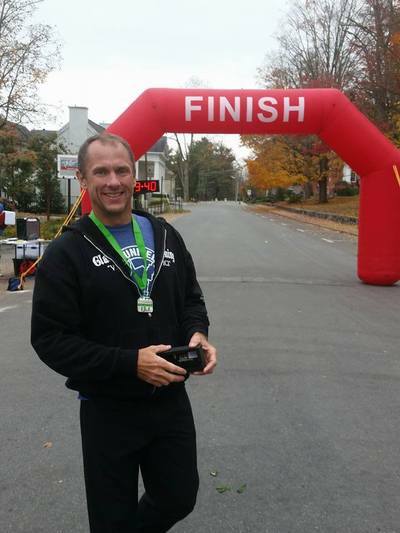 He has enjoyed many 5k and other races, including some half marathons, one marathon and one ultra marathon. In 2016 he and a friend ran the 77 mile Greenbrier River Trail in under 19 hours. Jim maintains that the best part has been the people and support system he has encountered on this journey. He is excited at the opportunity of coaching runners in Greenbrier County. Pam Mays, Eleanor- I am a 43 year old wife and mother of three beautiful girls . I was a stay at home mom for 12 precious years . Although I count those years as a wonderful blessing from God, it was a time when I, like so many moms, put all of my time and energy into taking care of everyone but myself. A sedentary lifestyle coupled with bad diet choices left me over weight and and out of breath after climbing the stairs in my home. With a goal in mind of running a 5k before I was 40 years old I found Genesis that offered the instruction, accountability, and encouragement that I desperately needed. Fast forward 4 years and I am 30 pounds lighter, and have met my newest goal of completing my first half marathon. I don’t run to win races. What I tell people who ask why I run is that running is like taking my medicine. It not only makes me feel better physically but also mentally. As for the spiritual, I find no better way of connecting with God than lacing up those sneakers and praising my savior as I take in the beauty of His creation while on a run. I count being a coach as an exciting opportunity and privilege to come along side others encouraging them on their way to meeting their own personal running goals. 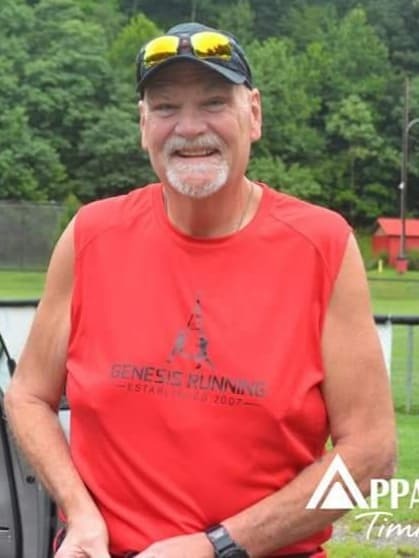 Mac McMillian, Nitro- In 2015 Mac McMillian, a 64 year old diabetic heart surgery survivor decided to go with his wife, Deb, to a Genesis workshop. His first Genesis class ended with his graduation 5k race in September 2015. Running has changed his life... forever. After two years of coaching as an assistant, Mac became certified by Road Runners Club of America as a distance running coach. Helping others find the motivation to improve their lives through running has become his passion. 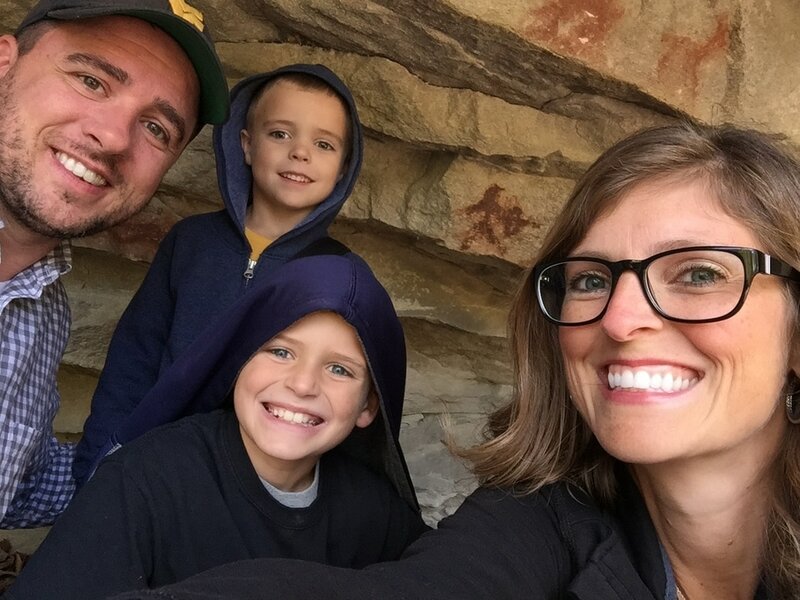 Beth Miller, Huntington- I am a 47 year old wife, and mother of four children. In 2000, I left my job as an RN to stay at home, and homeschool our kids. My last “student” Caleb, is a freshman this year, and so much in my life has changed the last couple years. I took my first Genesis class in the fall of 2017. For a few years prior, I had been having a lot of joint pain, especially in my knees. After, several appointments, and labs, I was told I had “bad” arthritis, especially in my knees. My weight was at an all time high, and I knew if I wanted to feel better, I needed to make some changes. My daughter had participated the spring Genesis class that year, and watching her at the race made me want to give it a try. I joined the fall class, and I can honestly say it was hard for me to run one minute. I often struggled with doubts, but my coach Josh Sowards, my classmates, and head coach Matt kept me going. Their belief in me, and their words of encouragement kept me showing up each week. The week of the Hope run (your first twenty minute run), I could barely run eight minutes. I called Josh, and said, “ I don’t think I can do it”, and that I wasn’t going to come. In his usual super encouraging way, he convinced me to come and try. 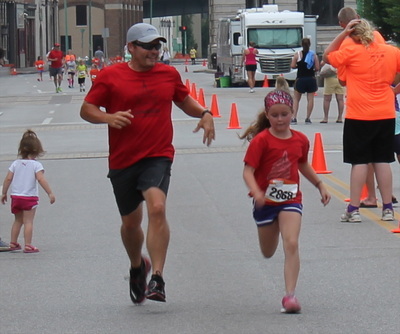 That day my daughter surprised me by showing up, and running with me. I remember when Matt blew the whistle that the twenty minutes were over, I literally could not believe it. I kept thinking later that day, “Did you really do that?”. At that point, I finally started to believe that I might actually be able to finish the race in a few weeks. I did run that race, I came back the next Spring for the Graduate class, then the summer advanced class, and crazy as it seems, I signed up for the fall 2018 Half Marathon class. I would have NEVER believed I could run that far, that first week of class the year before. Genesis Running gave me a new start. I’ve subsequently lost over 50 pounds. I feel so much better. Most of all, Genesis gave me the most AMAZING group of friends. I love the care and support that they show each other, and every runner that comes out for a class. That’s why I wanted to lead a class. I am hoping that I might be able to help someone else believe that things can be different; to help them see, that they can do more than they ever believed possible. Soli Deo Gloria (to God Alone Be the Glory).